Cheryl A. Kanner, LMT, teaches Actualism at the Laguna Beach Star Center and at Coast Star Center in Costa Mesa. 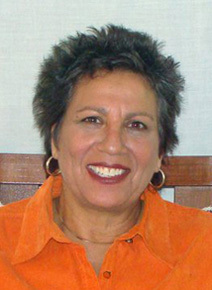 She has been serving the Orange County community for over 25 years with therapeutic massage and other types of bodywork. Cheryl's life passion is to bring healing and awakening to others through counseling and training in Actualism Lightwork. She specializes in helping clients with recovery from addiction, pre- and post-surgery support and spiritual counseling. Cheryl loves to develop personalized sessions based upon her clients' individual needs. She has her own website with information about her practice.